Justin: Welcome to the Dental Marketing Guy Show, I’m Justin the dental marketing guy, and today we have a very special guest, he is Dr Bickel. And he and his wife have been, you may recognize him from Dentistry uncensored with Howard Farran, he has been a dentist and his wife has been a dentist and they graduated in 1993. He and his wife have practiced together since 1998, and you know, Dr Bickel, what spurred this interview is, Dr Bickel shared a thread on dental town about his live chat and how that has changed the conversion rates on his website, but you know, one of the most interesting things about Dr Bickel, is that he actually won a free course with DentalMaverick.com, a lot of people, a lot of them you would know, Tuan Pham, he’s been on the show, and man, I’m just totally interested to hear about your background, Dr Bickel, and some of the actionable items that we can share with dentists, so that they can actually improve their practices the same way you have recently. Dr Bickel: I’m doing great, how’re you? Dr Bickel: that’s surprised me. Justin: yeah, and we don’t have to talk about HIPAA, we don’t, whatever you feel comfortable with, but you know, basically, I’m interested in sharing with dentists, what have you done to find success recently, in your practice? Dr Bickel: well, we, as you said, my wife and I bought a practice in 1998, and at that point we had, what I would call, a fairly successful practice for about ten years, and we weren’t killing it, but we were living a nice comfortable life – 4 day work week, just really enjoying things, and then the recession hit and I kind of panicked when our new patient count went down, and we decided that we needed to join up in a bunch of PPO’s, and we had been only in network with a couple of insurances, that the previous owner Doc had been involved with, and so we branched out to all these different PPO’s, and what happened was, we saw our production and new patients go up, but our collections just continued to go down and down and down. And when I look back at those first couple of years, I don’t even know how we survived with the collections that we were showing then. o, we tried some different things, we bought a hygienist on board, because we hadn’t had a hygienist before – my wife and I just enjoyed the 2 of us, you know, doing everything, and getting to know the patients, and we though ‘well we need to bring a hygienists in and get rid of some of the lower production procedures, and have her do it’, and that helped a little bit, but still we were seeing production and new patients going up and the collections just, and our income especially, just continued to go down. And it was very discouraging, it was almost 7 years that it was going on like that, we were seeing some gradual improvements, but nothing that was really going back to how we were before, and we finally just decided ‘hey, we’re going to drop those PPO’s that we added, go back to the same participation rate that we had before and see what happens’, and it helped. We started to see collections going up, but still not what we wanted. And about a year ago, I had met Tuan on dental town, about a year and a half ago, and he told me about this video course that he was putting together, and I never really did anything with it, and then about a year ago he puts on a thread that he’s giving away a free course, and to explain why it should be you, and I told them my story, and also sweetened the deal with a couple of promised fly-fishing trips, so I won the course, and dove into dental maverick as hard as I could. And we started to see some real changes. The main area that it really helped us with was communication. Communication with patients, because once you go out of network with patients, then life changes and you’ve got to really give peoples reason to come to your office as opposed to the person whole in network. And we found that, with the things that we learnt on dental maverick, we were able to convince people to stay with us, and convince people to come to us out of network. And also, it really increased my treatment acceptance rate;I would say at this point, I am virtually at 100% treatment plan acceptance rate – which is amazing. Dr Bickel: just due to better communication and explaining things to patients and use of intra-oral cameras, they just get it, and really the only time somebody doesn’t complete treatment is because they can’t afford it right now. So, we had communication, we had treatment plan acceptance, and also what it did for communication with our staff, that has been amazing, just how our staff – we’ve always had a good staff, but they really responded well to just the things that dental maverick explains how to deal with staff and how to explain things to them, and their attitudes just turned around, and I would say that everybody on our staff is a 5 star employee now, and it’s just amazing. We get reviews that come in, that specifically mention staff members by name, as to how they were helpful to the patient. Justin: wow, that’s great, that’s excellent. And, so, dental maverick was really instrumental, and so what would you say, in terms of some of the more online things; we talked about live chat, we talked about some of the ongoing like SEO efforts and stuff like that, how has that helped your practice? 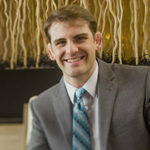 Dr Bickel: when we started with an SEO company about a year and a half ago, I would say it was January of ’15, and at that point when we started, I think we were, if you googled dentist’s, we’re in Turnersville, New Jersey, if you googled ‘dentist, Turnersville, New Jersey’, I believe we came up on page 6 when we started with them, and we are now on page 1 for a multitude of different search parameters; emergency dentists’, dental implants, orthodontics – because my wife does ortho. So, that radically changed how often we get people requesting appointments through our website, and then the live chat has really surprised me, it just amazes me, how many people are seriously looking for something on the website at 11PM or 5AM, you know, before work, after work, you know, I don’t know how many times it happens to you where you think, you know ‘I got to call this person, or contact this person’ and you don’t remember until your brushing your teeth and it’s time to go to bed. And I guess with the live chat you can go ‘oh I meant to call the dentist today’ and then you can go on the website and ‘oh look at that, they’ve got a live chat’, and then you can communicate with them at that point. Justin: yeah, and it really is a whole new world; the whole yelp and google reviews, search engines in general. I mean, everything is changed and what we’re seeing is, those dentists who get in early, those dentists who don’t wait till the last minute to create a website and do SEO, and things like that – they tend to get momentum. Justin: would you say – how important, you know, you had momentum going the wrong way with the recession, then what would you say, how important has momentum been to your development, your practice and your wife’s practice? Dr Bickel: wow that’s – momentum has been absolutely incredible because, like you said we were on this downward trajectory, and we changed the insurances that we were involved in, got involved with dental maverick, and we started going up instead of down, and I was 6 months into dental maverick, and we were, at that point, 15% over 2014 in collections, and at that point, you know, we were really happy about the trend and my practice is, oh about 7 minutes from my house, and about 1 minute from my house, one Sunday morning in October, we were on our way to church and past an orthodontists office, a half mile from my house, and there was a for sale sign out front, and we have always wanted – right now we’re stuck in a small, 3 operatory medical condo complex, and there’s no exterior signage aloud, we just have a little plaque next to the door with our name on it, so our online stuff is our only visibility, that and our referrals from existing patients. So, we drove by this for sale sign and said “that’s something that we’ve always wanted to do, we wanted to get our own building, but we haven’t found anything in the area that was acceptable” this place was perfect, we went to look at it, I think the for sale sign went up on Saturday, we went to look at it on Tuesday, and that started the ball rolling with the purchase, so we closed on that a couple of weeks ago, and there in the construction phase right now, I think they have the walls down to the studs, and they’re starting to do the demolition. But without the momentum that we got form getting rid of the bad insurances, getting our SEO inline, improving ourselves through dental maverick – I would have driven past that sign and said ‘if only we could do something like that’, and this time I went by the sign and said “that’s something that we need to do”, and I even, Tuan is great, there’s a, when you’re a dental maverick member you can contact him at any point, he and I talk on Facebook all the time, and I sent him a message about it and he said “dude, buy that building before some other Doc does” and we dove right into it. And here we are, you know, going from a downward trajectory to now where about to open a 6 operatory practice with fantastic visibility right across the street from the township high school. Dr Bickel: without that upward trajectory, none of that would have happened. Justin: right, yeah, I mean that’s a really cool story, I mean, I can see why Tuan’s showing you his Facebook, you know, people are looking at, for sure. Yeah, that’s really cool. Okay, so, you did the dental maverick thing, you made some online improvements, and here you are, I think it’s just a great story, it’s not like your -you’re not selling anything, you know a lot of the guests have some things they’re promoting. I just think it’s great for dentists to see a story, once in a while, you know, this kind of content that we’re putting out, it’s not, there’s not, there doesn’t need to be a call to action, we’re not like ‘hey, do this, or do this’, but I think it’s just kind of cool because you’ve given some nuggets about, like you know, the live chat thing, I texted a bunch of dentists, I was like “what do you think about this?” and everyone’s like “let’s try it” because I pointed them to the thread on dental town. And yeah, I mean, everyone’s making a fuss about the HIPAA, and all of that, and so there are, I’m sure there are solutions out there, and there are answers to all those questions. And there have been some really good posts on that. Dr Bickel: the thing that, I guess confused me, would be the right word, about the HIPAA thing is that, HIPAA is supposed to protect people from unauthorized information about their medical or dental care. Common sense to me says that, if I’m on a dentists website, and see a live chat and I by my own free will, go on that live chat and start giving that person information about my dental needs, I don’t see that as being any different from somebody calling the phone number that’s on there and giving my front desk information about their dental needs. I just don’t see the HIPAA issue there, because it’s not somebody divulging something without your knowledge, your freely giving that to the website. So, I’m not a HIPAA expert, but that just seems logically to me. Justin: yeah, and I couldn’t possibly even say, what’s what – it’s just not my area, and I think that’s important, you know, a lot of times on dental town, I think people like to chime in on things and be like ‘oh well, I’m not an expert, but blah blah blah’, and I don’t know if people really listen after you say that, you know. So I try not to do posts like that, because it’s like ‘well hey, I know nothing about what I’m talking about, but listen to me’. SoI try to avoid it altogether, but I do want to give you the opportunity to kind of have the floor on that and say your piece on that. It sounds like there are some pretty knowledgeable people that have their say. So, yeah. I mean, I just, I appreciate you coming on, and I like the tone of this interview, because we’re not necessarily saying ‘hey dentists, here’s a product, here’s a service, this is something good for you’, we’re just saying ‘look, you know, once in a while you just need a shot in the arm, once in a while you need to hear a story about a dentist whose done it’ and that’s what this episode is about, so I appreciate you coming on to do that. Dr Bickel: oh, no problem, it’s my pleasure. Justin: excellent. Well, let’s talk about, normally there’s a call of action, you know like ‘where can they find you?’ but, you know what? We can find you one dental town, and you don’t have anything to sell, so, all the better. Cool, so yeah, if you do have any questions though, guys come in and talk in the comments, whether it’s a dental town thread, if you find this on the dental town blog, the dental marketing guy blog, just on YouTube, where ever you find this on social media, feel free to chime in with questions for Dr Bickel, I’ll make sure they get to him, or if you have questions for me, and thanks for watching the dental marketing guy show. Read more on the dental marketing blog!